Jaguar Land Rover, BMW’s UK Mini and Rolls-Royce will shutdown their UK-based manufacturing plants starting this week. As predicted by experts, the shut-downs of manufacturing plants of automobile giants have begun in the UK. Starting with Britain’s largest carmaker, Jaguar Land Rover (JLR) that is stopping production from this week, followed by BMW’s UK Mini and Rolls-Royce. JLR, Mini, Rolls-Royce and Peugeot’s Vauxhall brand also known by the brand name Opel, these automakers have contributed to about 1.52 million cars in 2018 alone. The shutdowns are a part of the country’s preparations for Brexit. The new immigration policies in light of the impending exit of the UK from the EU would hinder the supply chain of vehicles, sale of cars across borders, and a higher tariff on finished products i.e. new vehicles. Now that the Brexit talks are well into the month of April, even Honda’s pre-scheduled halt of production will take place within this month. A declining demand for diesel vehicles combined with turbulent and uncertain political scenarios, has been impacting the automotive sector in the country over the past two years with lower investments and a sharp dip in the sales numbers. The impact of curtailed trading and restrictive transfer of goods, services and people from other countries. 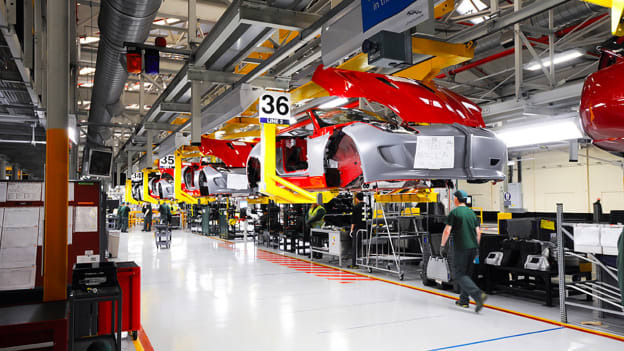 BMW’s central English Hams Hall factory is in the middle of its four-week shutdown. At the same time, JLR’s Wolverhampton site will gear up for Brexit by stopping production for a whole week.